George Soros Would've Gotten Away With It, Too, If It Wasn't For You Meddling Kids! George Soros Would’ve Gotten Away With It, Too, If It Wasn’t For You Meddling Kids! George Soros and the protesters deny any connection. But Reuters did find indirect financial links between Soros and Adbusters, an anti-capitalist group in Canada which started the protests with an inventive marketing campaign aimed at sparking an Arab Spring type uprising against Wall Street. Soros! Lord of lies, puppetmaster of the anti-capitalists! What evidence does Reuters produce? I’ll summarize. Like the protesters, Soros is no fan of the 2008 bank bailouts and subsequent government purchase of the toxic sub-prime mortgage assets they amassed in the property bubble. That’s… not really compelling, is it? According to public polling, a solid majority of Americans are “no fans” of the bailouts. Rush Limbaugh claimed something? That’s a fantastic basic for an investigative story. In 2008, Limbaugh claimed that Obama made a pre-election trip to visit his dying grandmother to deal with the rumors that he wasn’t born in America. Get on it, Reuters! No, I think this is supposed to be the evidence. The protests were first formulated by writers at AdBusters magazine. 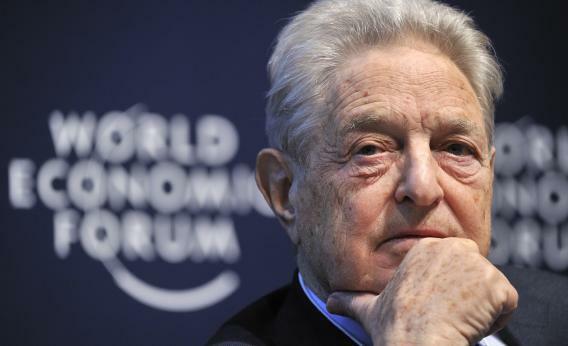 According to disclosure documents from 2007-2009, Soros’ Open Society gave grants of $3.5 million to the Tides Center, a San Francisco-based group that acts almost like a clearing house for other donors, directing their contributions to liberal non-profit groups… disclosure documents also show Tides, which declined comment, gave Adbusters grants of $185,000 from 2001-2010, including nearly $26,000 between 2007-2009. And that’s the connection. Soros has given grants to Tides, which gave $26,000 to AdBusters in the same period. Some perspective: AdBusters has a reported circulation of 120,000 and a cover price of $7.95. If an issue of AdBusters sells 1,090 copies, the gross profit is equivilent to a year of funding from Tides. More perspective: Americans for Prosperity, the umbrella Tea Party group founded and partly funded by David Koch, had a 2010 budget of $40 million. Hey, I’m glad I know about this incredibly tenuous connection. Hats off. But this may be the reductio ad absurdum of follow-the-money reporting on protests.